In 1824 land was acquired to build a church at the rear of the High Street, opposite the Cross Keys pub. 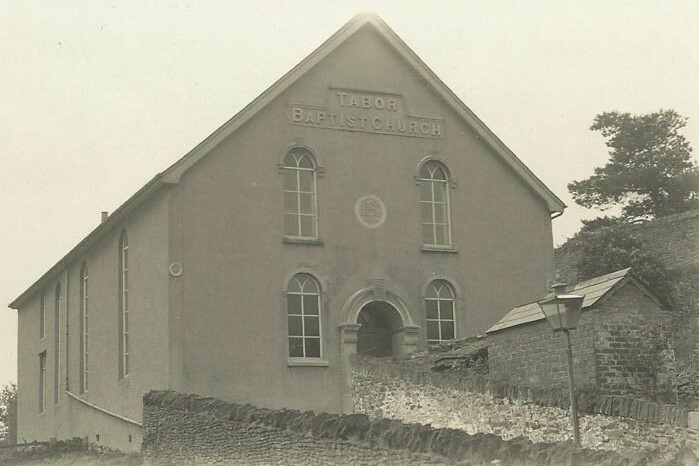 In the original Trust Deeds dating from that time, it was given the name Tabor Welsh Baptist Church. 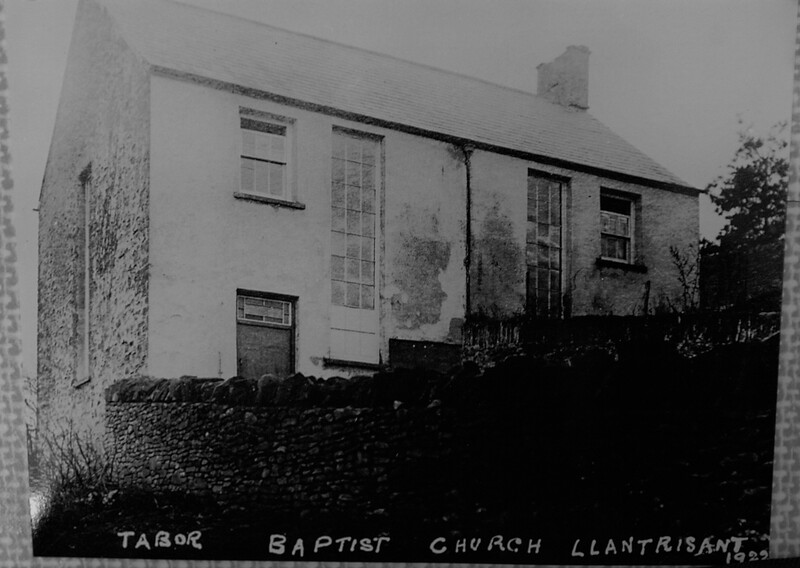 The record of registered dissenting meeting places shows on May 1st 1826: “Baptist; a house built upon the property of J.HARRIS, Treverhig, situated near the Crosskeys; David JAMES of Llantrisant, Baptist Minister.” The Religious Census of 1851 shows a return from William Thomas, local preacher of Gwern-y-Moes Farm, stating that at the time the Baptist Church had “300 free places” and an attendance of 65. To accommodate 300 seatings there must have been a balcony in place in the old building. The small building served the local congregation for 100 years, after which it was substantially enlarged. The original, smaller building still stands, forming what is now the rear section of the church, or “vestry” meeting room. At the beginning of the 20th Century members pledged to give regularly each week for several years to save up enough money to fund the extended building, which, complete with balcony, could seat 350. 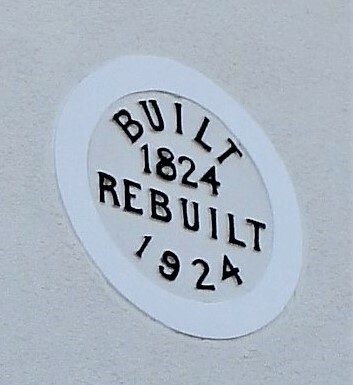 The new building was opened in 1924. The Chapel was Welsh-speaking originally but changed to English-speaking during the 1920s. 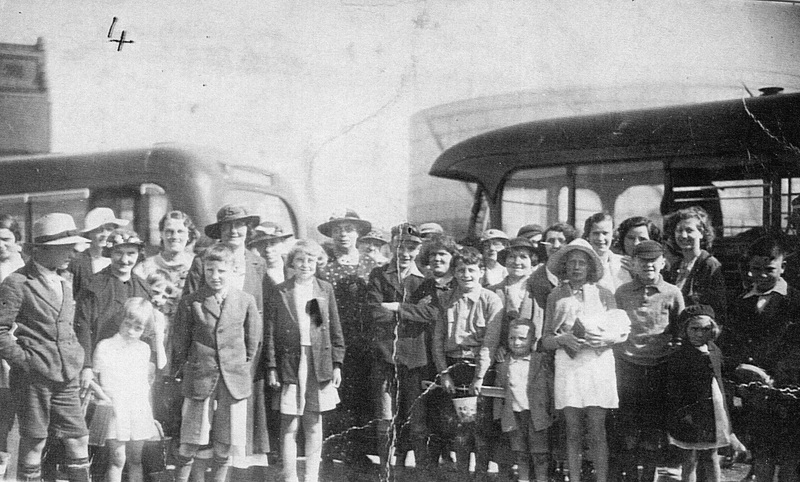 It was once noted that “The Harvest Festival held each autumn attracts large numbers to hear the outstanding preachers of the movement.” When there were multiple non-conformist chapels active in the town, it is said that Tabor catered mainly for the classes at the lower end of the social spectrum – mainly the farming community. This might explain the renown of the Harvest Festival services. 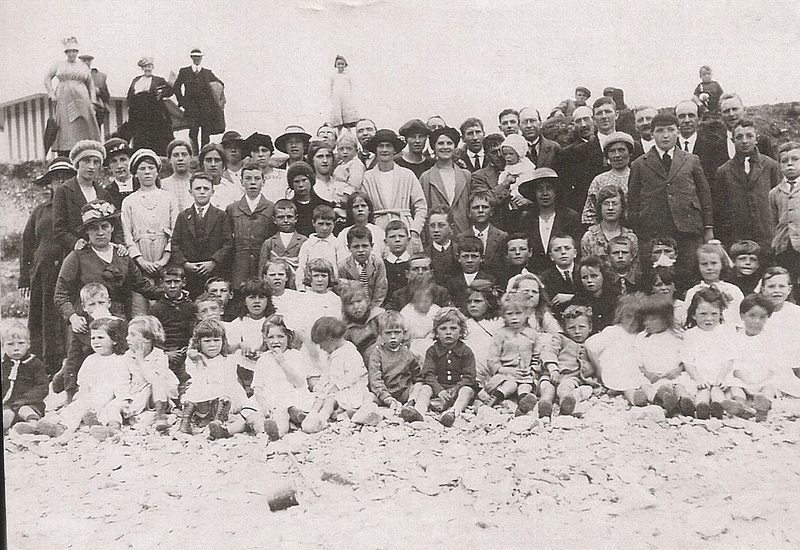 In the mid-20th century the Sunday School was reported to have an attendance of up to 100, and the Band of Hope young people’s meetings up to 200. The Band of Hope was a national organisation which involved promotion of temperance and abstinence from alcohol. 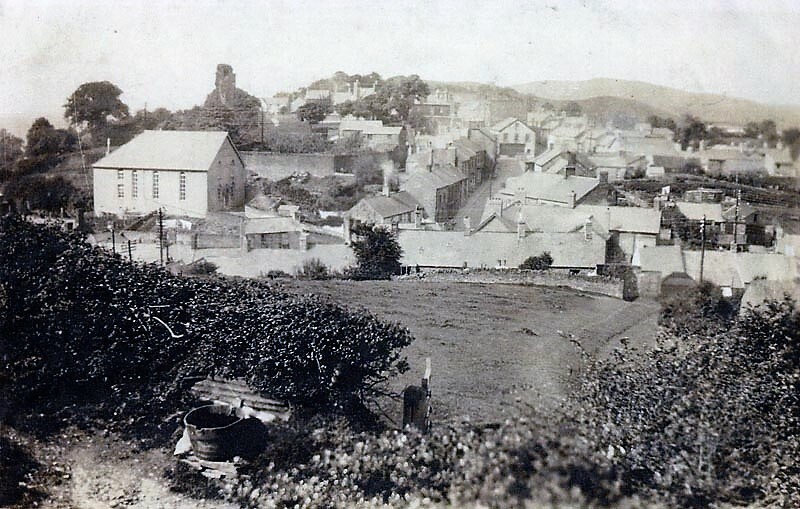 Tabor Church on the left, photographed mid 20th century. Click to enlarge. 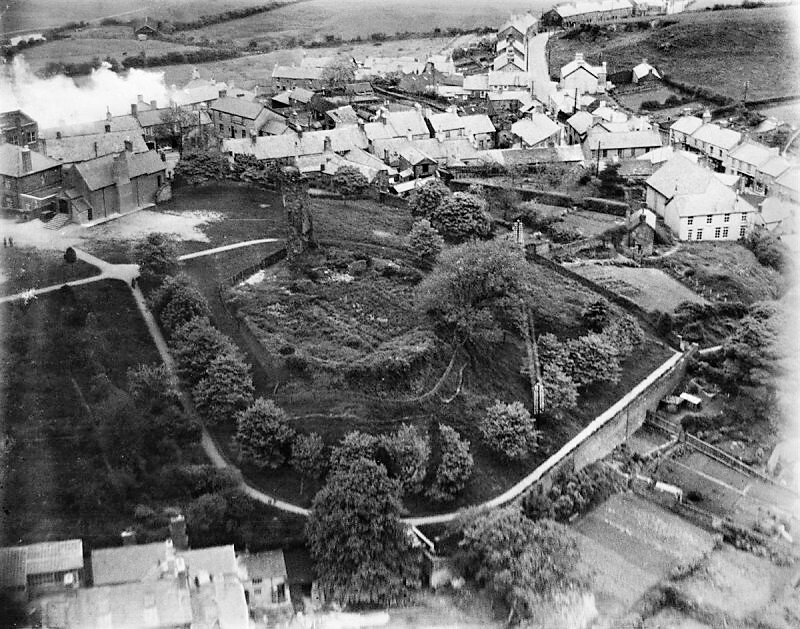 Old aerial photo of the castle ruins (centre), taken looking northwards. Tabor Church can be seen to the right (rear view). The old stone caretaker’s cottage can be seen adjacent to the church. This fell into disuse and was demolished in 2014. Click to enlarge. 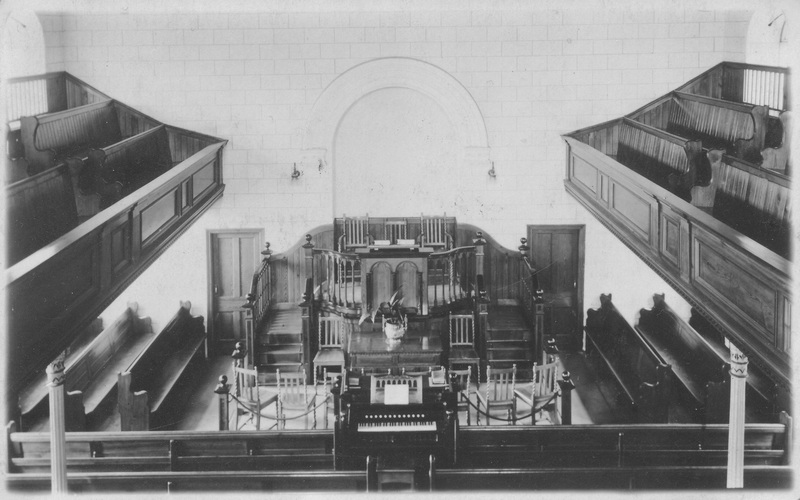 Chapel interior shortly after the extension. Click to enlarge. The ten chairs on the platform in front of the pulpit were occupied by the church Deacons during services. Below the platform is the full-sized baptistry which is still in use today. 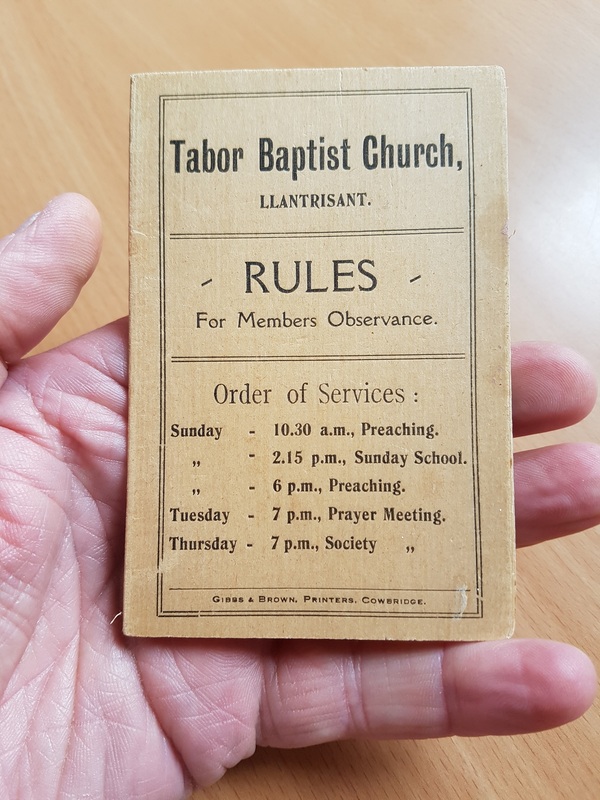 Members’ Rule Book Cover. In use in the late 20th century. Click to enlarge. Of the eight or so non-conformist chapels active in Llantrisant during Victorian times, Tabor Church is the only one still in use as a place of worship. Most of the old records of Tabor Baptist Church have been lost. 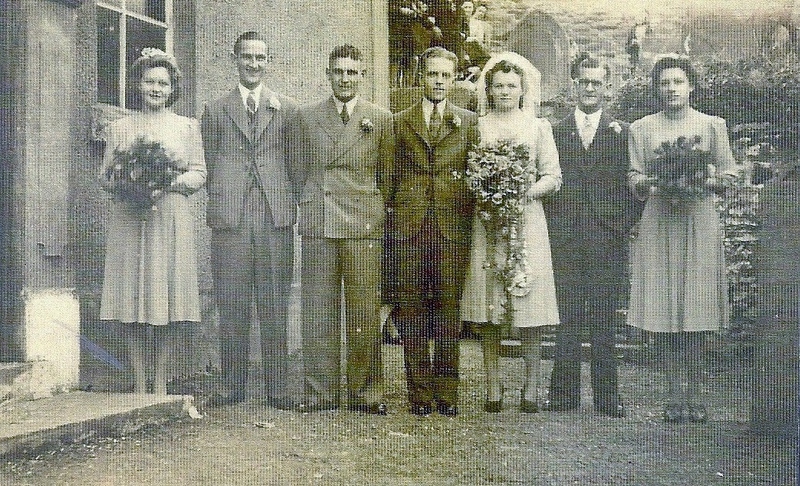 A register of marriages at Tabor Church covering the years 1932-1938 is lodged with the Records Office in Cardiff. 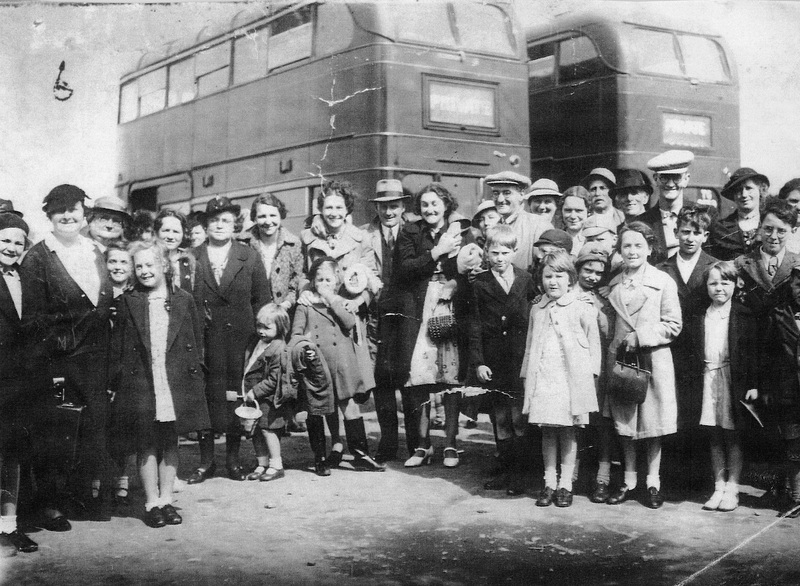 (We are grateful to Dean Powell, local historian and Freeman of Llantrisant, for some of the old photographs and supporting information – used with permission). 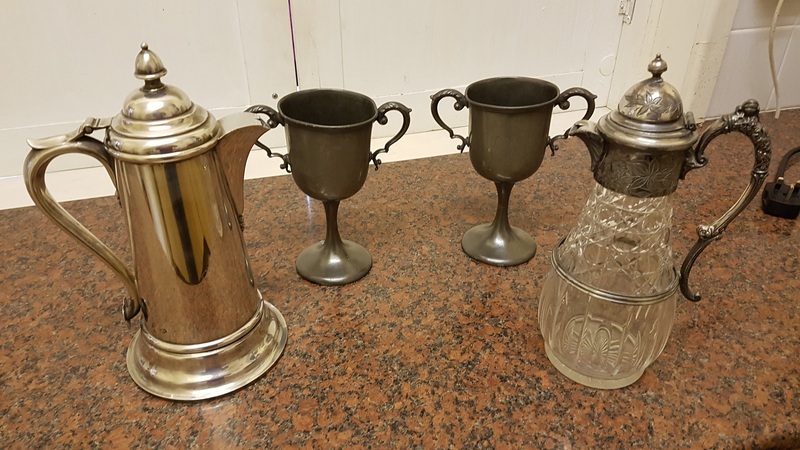 Old communion vessels. Silver plate and pewter. Now replaced. Click to enlarge.